Intro to Barbershop: Time to hit the stage! 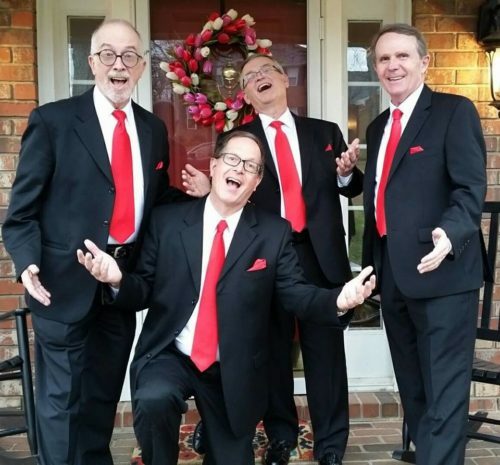 Getting together with your quartet or chorus each week to sing is a pretty rewarding experience in itself, but most Barbershoppers like to perform for an audience -- any audience. Public performance and competition provide worthy goals, benchmarks to strive toward, and the rewards of applause, recognition and the exhilaration of a job well done. The broader the mix of performances you undertake, as a singer or as a listener, the richer your barbershop life becomes. Never become glued to a single form of participation -- try them all! And needless to say, whenever you perform -- be good, be sensitive to your audience’s needs, and never outstay your welcome! “The annual show” has been a staple of the barbershop culture for decades, serving as both a musical/artistic focus, and also a financial engine for the chapter through ticket sales and program advertising. 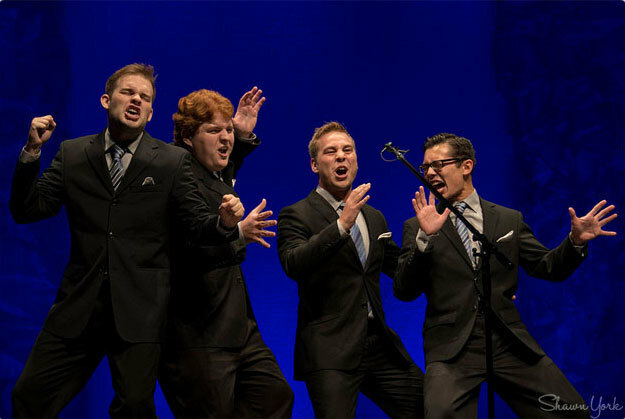 A typical chapter show is a fully-staged production in a quality performance hall, and might include 7-12 songs by the chorus, chapter quartets, and often headliner quartets of distinction. 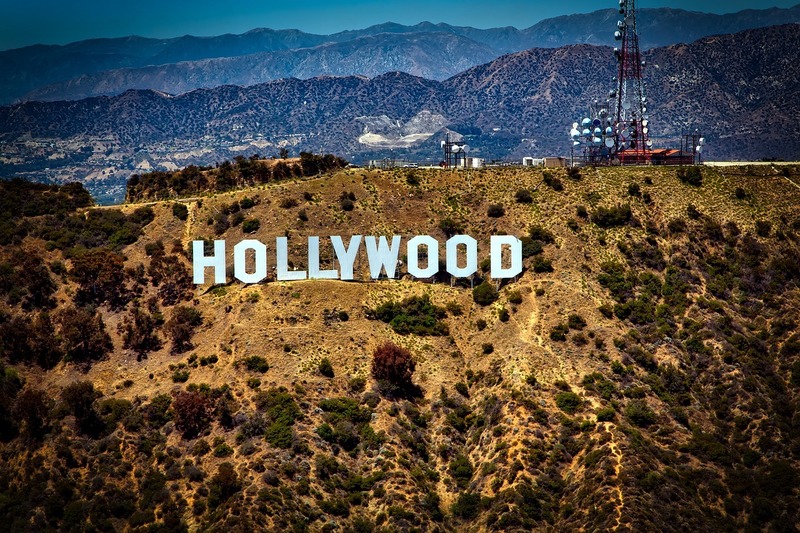 That model has evolved in recent years, with many chapters now scheduling multiple major stage performances each year; holiday and seasonal shows are particularly popular, as are more intimate casual-seating cabaret shows. In either case, the financial success rests with the chapter, which hires the facility and performers, sells the tickets, etc. In contrast, there are ample opportunities to take your act on the road and get paid to sing -- in shopping malls, corporate events, and as guests on other barbershop shows. 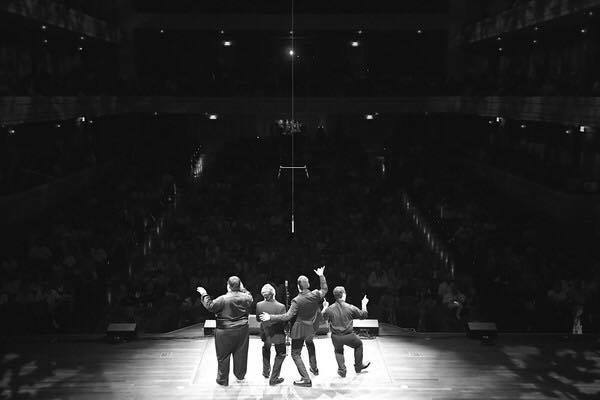 Quartets are often more successful getting these gigs because they have fewer staging requirements, needing just a good sound system and a ready audience. Singing Valentines, too, are huge part of the community singing life, and can be even more profitable than a produced show. Barbershoppers provide hundreds of hours of community service by singing at organizations such as hospitals, nursing homes, and retirement communities. We enrich the lives of countless people through the joy of making music together. Fees are optional, memories are guaranteed. A Barbershop convention of any size can be described as part contest, part family reunion, and part concert, with singing to be found at nearly every moment in nearly every location. At local conventions at the Division or District level, attendees number in the hundreds, while the Society-run Midwinter Convention and summertime International Convention bring together thousands of Barbershoppers from around the world. If you’ve only experienced your local chapter or quartet, attending a convention will open your eyes to a whole new level of participation and fellowship. 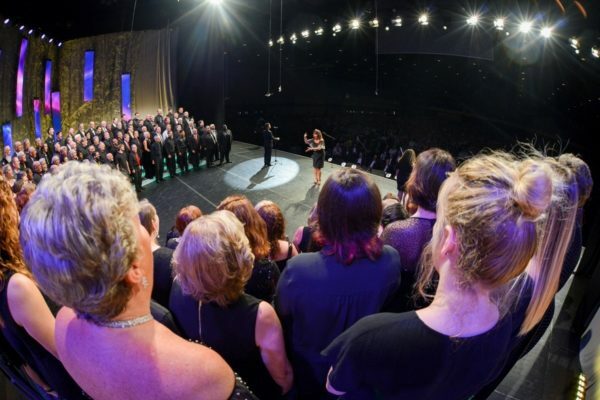 The major national events have vastly expanded the range of activities and ways to have fun singing and watching. 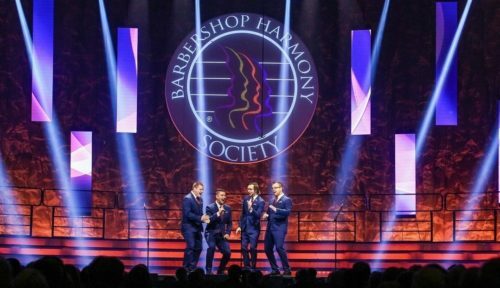 Dozens of class offerings, music reading sessions, Harmony Brigades and special Tag Zone activities, and All-Chapter Chorus offerings make it possible for every Barbershopper to find a great singing activity beyond the contest stage. Division and district conventions are increasingly bringing these offers closer to home. Division/District - To find your local convention schedule, view the events calendar here! Midwinter - Our Senior and Youth events take center stage! International - The World Series of Barbershop competitions, plus so much more! Global - Our affiliate organizations hold conventions as well - take your barbershopping overseas! Singing in an All-Chapter Chorus is a great way to have fun at a convention without competing. The centerpiece of most conventions are the quartet and chorus contests. These help performers at all levels of ability measure progress, show off the hard work done by the ensemble, and share a musical experience together. Yes, of course, everyone looks at the score sheet to compare themselves with others, and yes, some will win and some won’t, but ranking is only a part of the experience. The ideal adjudication experience includes an evaluation/coaching session with the judges, who not only explain how the score was determined, but guide the performer toward improvement with specific analysis of the performance. Ideally, what gets measured gets improved, and the ultimate goal is for the skills built up by focusing on contest performance will help the ensemble perform its entire repertoire to the outer limits of their own skill and talents. If your quartet or chorus is not taking advantage of this powerful tool for musical development, take a look at your calendar, and ask yourself what other mechanisms are so close and helpful.